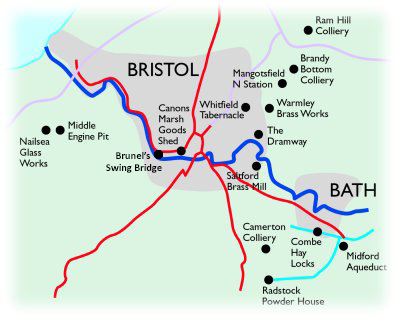 These web pages have been produced by Avon Industrial Buildings Trust (AIBT) to champion the industrial archaeology of the Bristol/Avon area – a region that can rightly claim to be one of the birthplaces of the Industrial Revolution as many of the industrial process were at the cutting edge of the technologies of their time. Time has not always been kind to the area's industrial infrastructure. While some buildings and structures are still in use today, or been lovingly preserved, there are many others that have either been deliberately demolished or allowed to decay into nothing. Which makes it all the more important to preserve what is left now for the enjoyment of future generations. 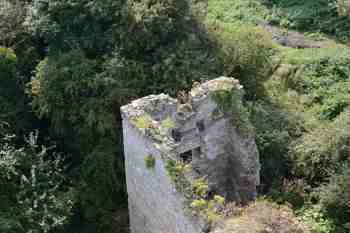 The Cornish Engine House at Brandy Bottom. Photo: R Whitworth, September 2014. There are links to the websites of other organisations in the relevant pages, and also at the bottom of the 'More about AIBT' page. Copyright of all the images has been retained by the respective photographers. The AIBT would like to thank them for permission to use their images on the website.